The Hard Wall Mining Hose (808) range of custom hoses is designed for the most arduous of mining and industrial duties. Built for suction and discharge applications, these robust hoses are manufactured with a heavy spring steel wire helix, designed to cater for high dynamic loads. 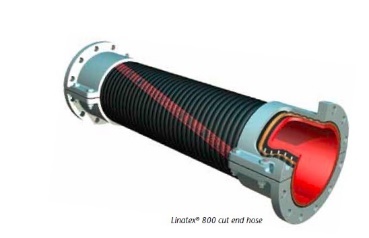 Hard Wall Mining Hose 808 can also be adapted for aggressive acid or chemical applications through the addition of Linatex® premium rubber liners. 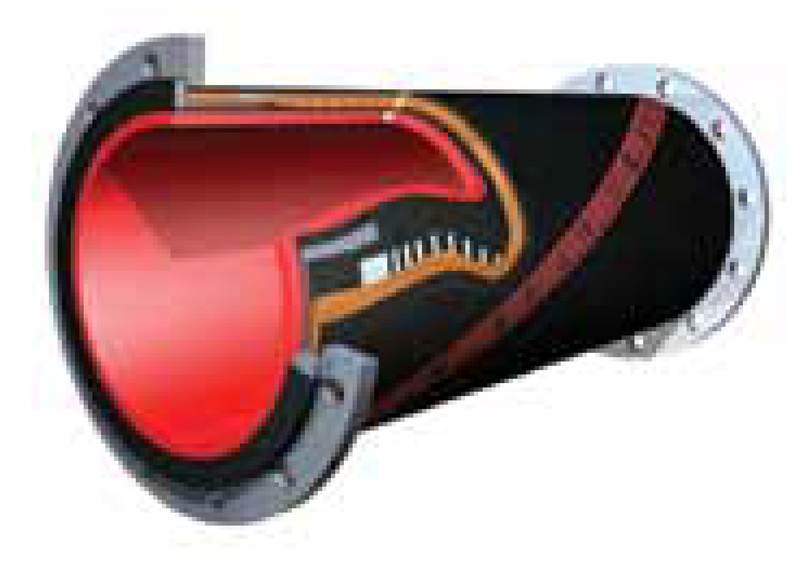 Hard Wall Mining Hose 808 can be custom manufactured to any size and are available with a broad array of flange types. The Cut End Hose coupling arrangement is designed as an ‘off-the-shelf’ hose system developed to minimize both down time and maintenance costs. Combining the outstanding abrasion resistance of a uniform wear tube with lightweight reusable aluminium flanged couplings, this unique combination allows fast and easy on site assembly. The hose coupling system is not exposed to the material flow and is therefore suitable for abrasive and corrosive duties. The couplings are available with 150# bolt pattern in aluminum and accommodate standard industry operational pressures. Our Cut End Hose is available in both smooth and corrugated form. Similar in construction to our Hard Wall Hose, our Preformed Hose Bends are intended for use where space limitations demand a much sharper bend radius than can be achieved using a length of Hard Wall Hose (808). Designed to offer superior wear performance over normal hose and steel lined pipe, we provide these in an extensive array of diameters, bend angles and radii configurations.